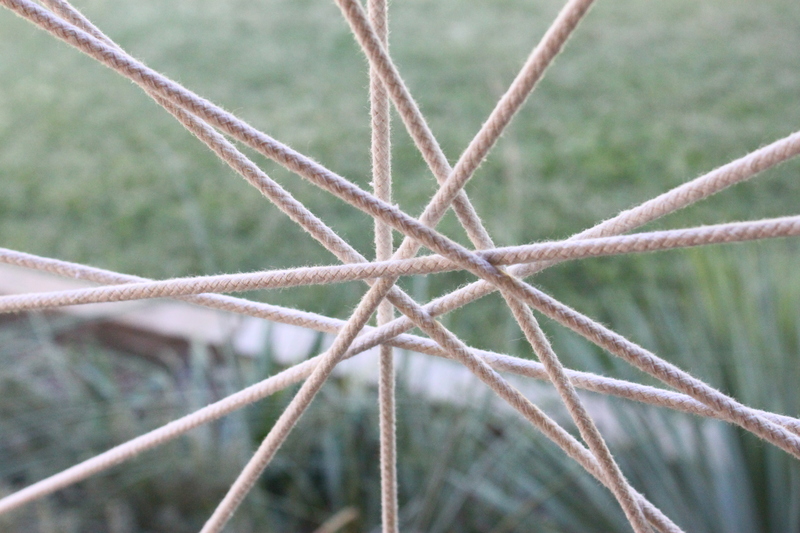 What a Tangled One We Weave…. Well……Not compared to Christmas, anyway. 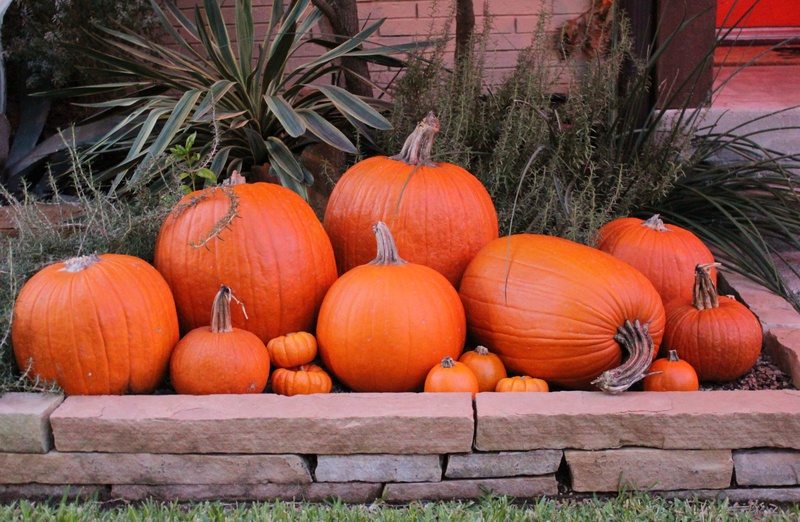 The flowerbeds are usually dried up in October, so we fill them with pumpkins. 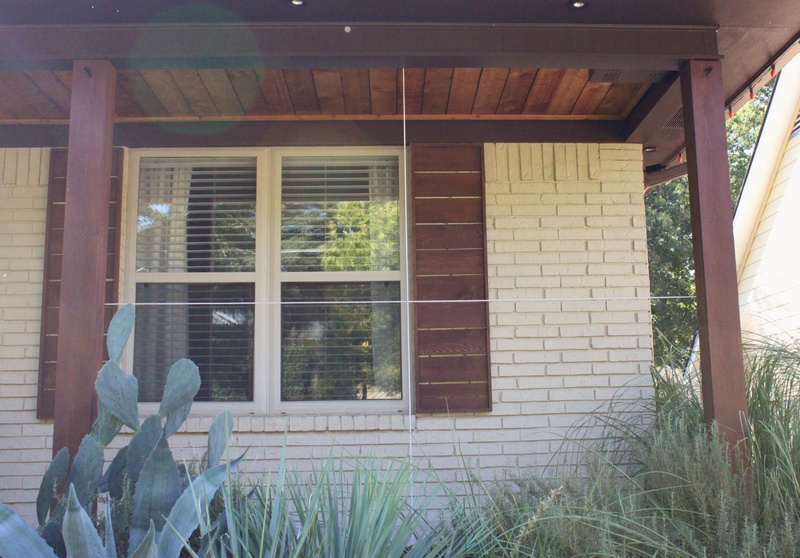 The neighbors are trimming their trees, so I use the branches for a garland around the door. It just kinda happens……… organically. But this project I planned out. 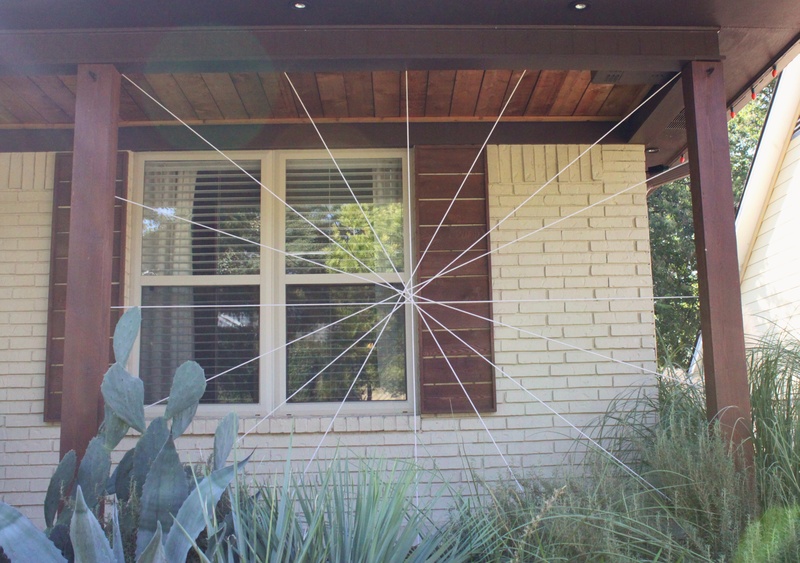 I wanted a spider web……with a big, fat spider in it. 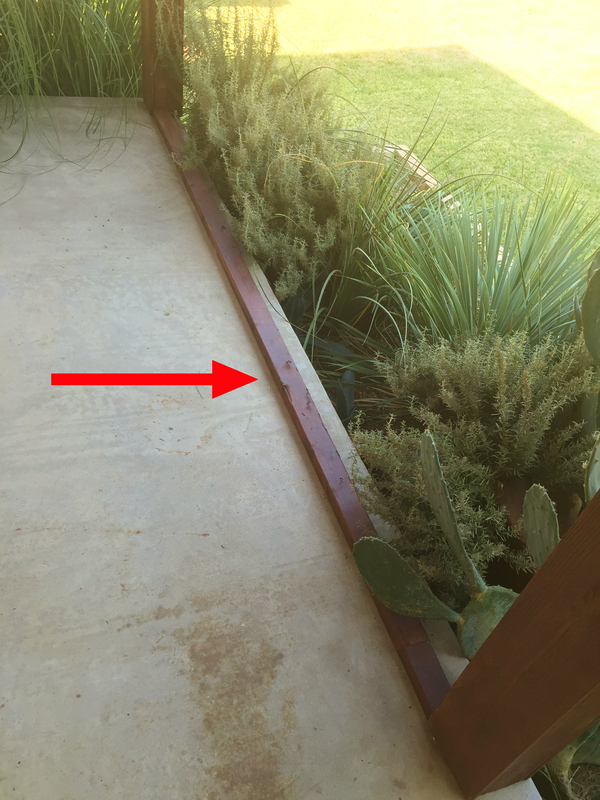 And had the perfect empty space on the front porch between 2 posts. 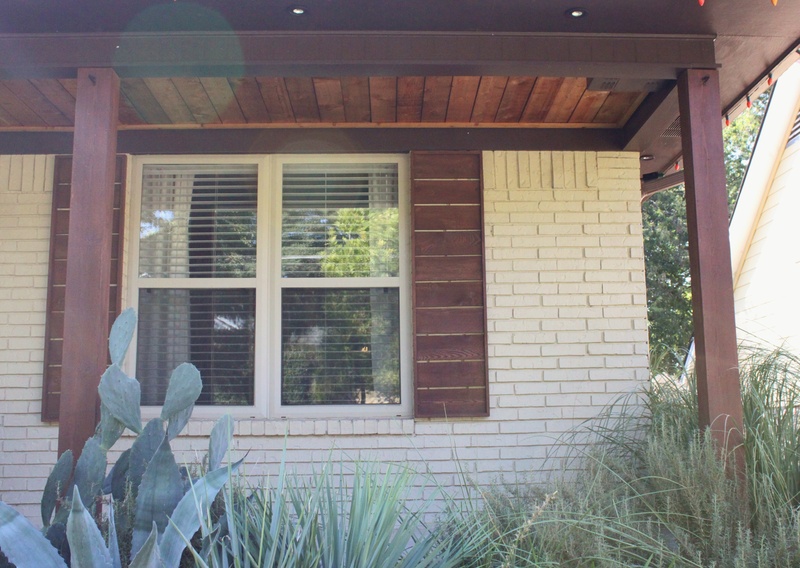 Although, I added a 2X4, stained to match the rest of the wood trim, between them. 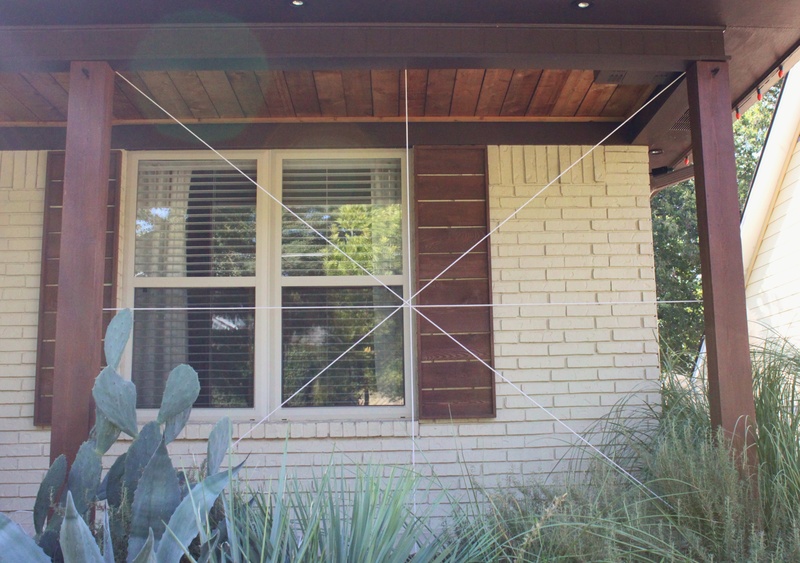 It was a matter of simply stapling the cotton clothes line from top to bottom, and again from side to side…. Then a piece from each corner…. Then a few more in the empty spaces between…. 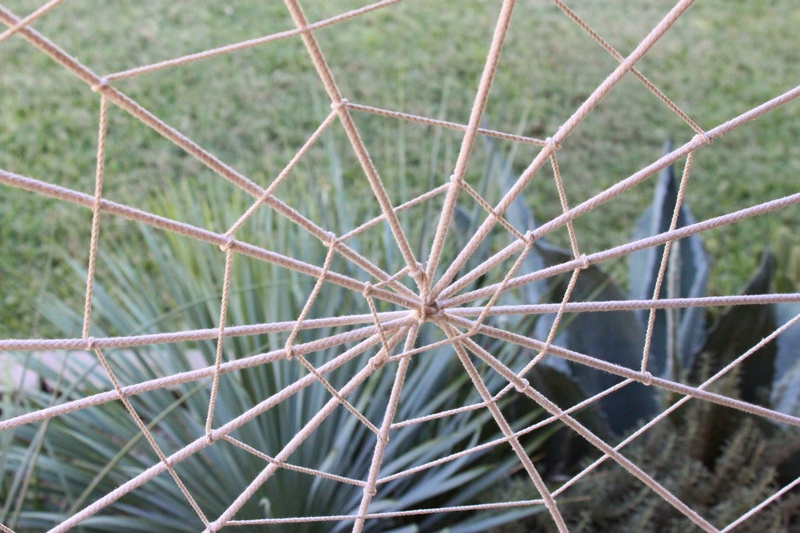 The center of my web was a little ……..off-center. 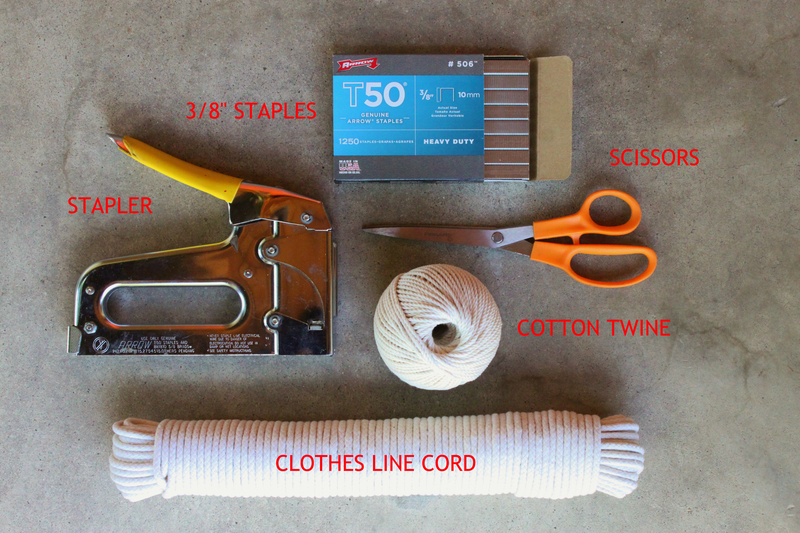 So I used the twine to tie everything together. 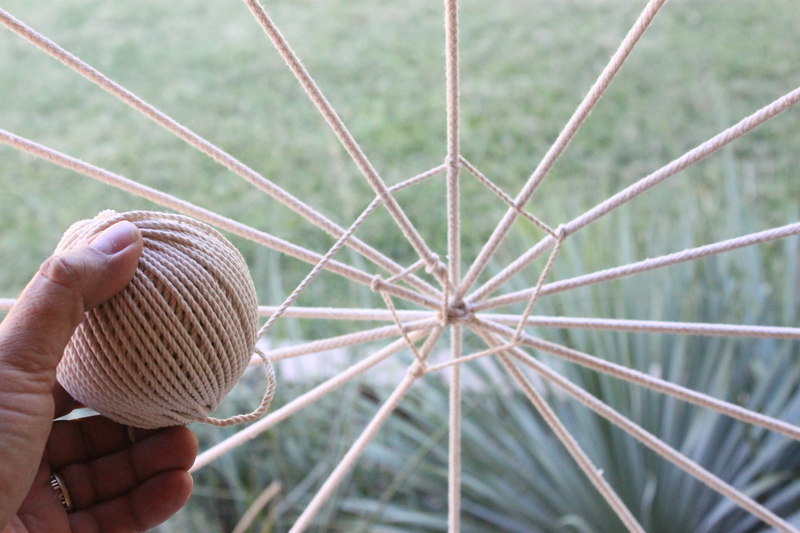 Then I worked my way out of the center with the twine, stopping to tightly wrap a piece every few cords or so. I love the way it was turning out. 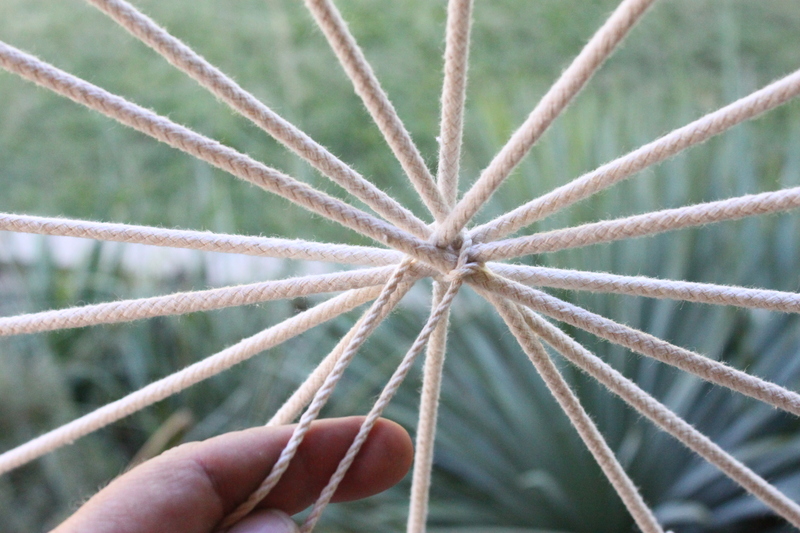 As I wound my way farther from the center, I wrapped the twine around every cord. ‘Till it looked like this. Now, here’s the part where I make the spider. You know, out of a beach ball, Styrofoam pool noodles and black spray paint. Can’t ya just picture it? So could I…..until I saw one at Target that looked just fine. She adds some whimsy to the whole porch. 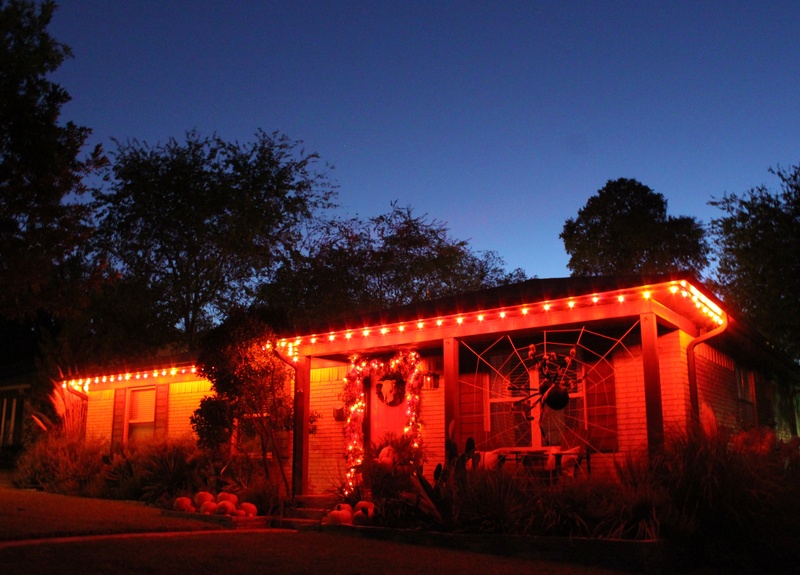 Kinda diggin’ the orange lights we trimmed the house with…….. They look especially cool at twilight. 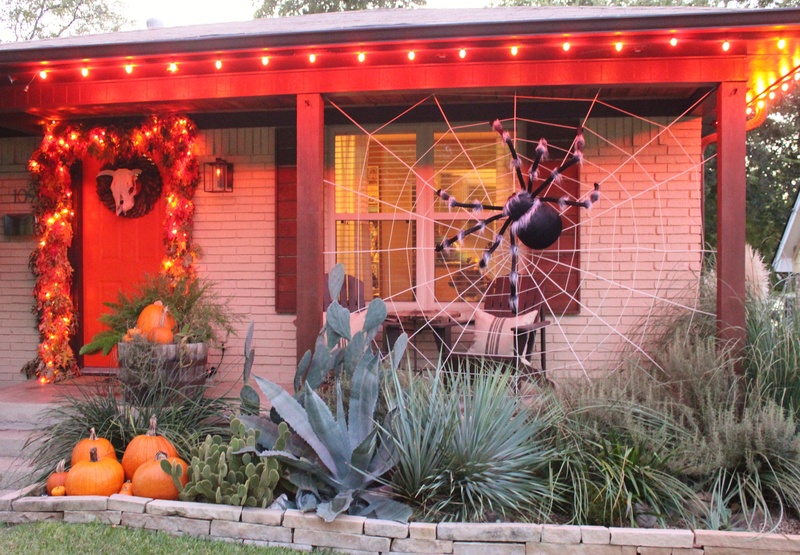 Happy Halloween from the orange house on Cavender with the big spider. GOOD JOB, guys! Super fab as always. Awesome! Love it so much. This is just freakin’ epic…You are now the WebMaster. Coming to visit my daughter there this weekend (from St. Louis) maybe we will come trick or treat! Looks so good! You all do such fun things! We love St Louis! But we’re not ever going back up in that arch…….once is enough. Had to conquer several fears at once…..claustrophobia and acrophobia. Looks fantastic! Can’t wait to see what you do for Christmas! Christmas is a little more …….”intense”. Jamie had been working on a couple projects all summer. Just you wait……. We were going for tastefull…….and fun, of course. You nailed it!!! I love your vision it totally rocks James, I love that you shared all the steps too! Thanks, now you can make your own. Wow… That whole effect is fantastic. You are a crafty genius! “Genius”, your word, and I’ll gladly take it. What a great job! 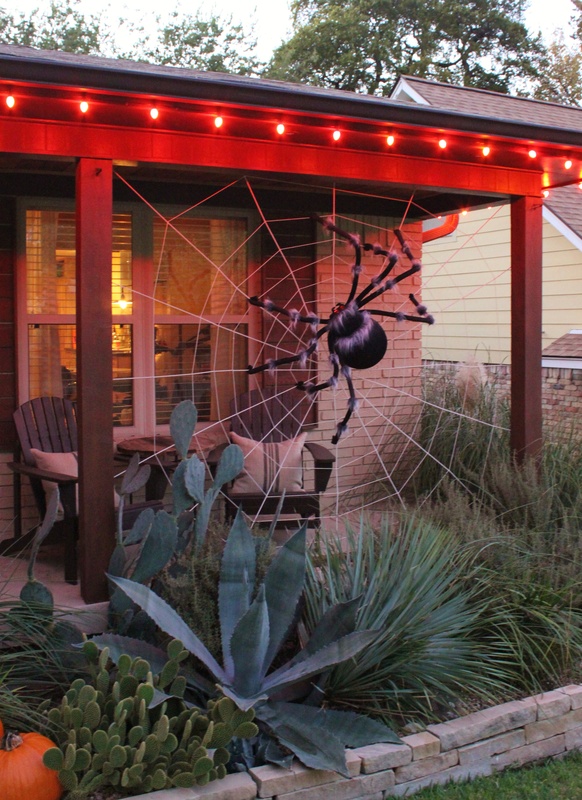 You guys are so creative….and your trick or treaters will love it! Thanks Michele, Unfortunately, we put out wayyyyyyyyy more effort than our trick or treaters do. They don’t wear costumes. 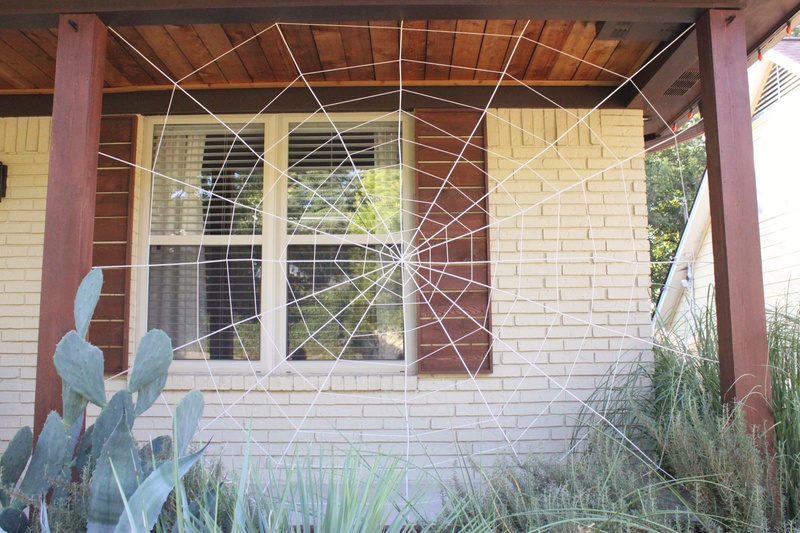 The house looks great and the web is amazing. 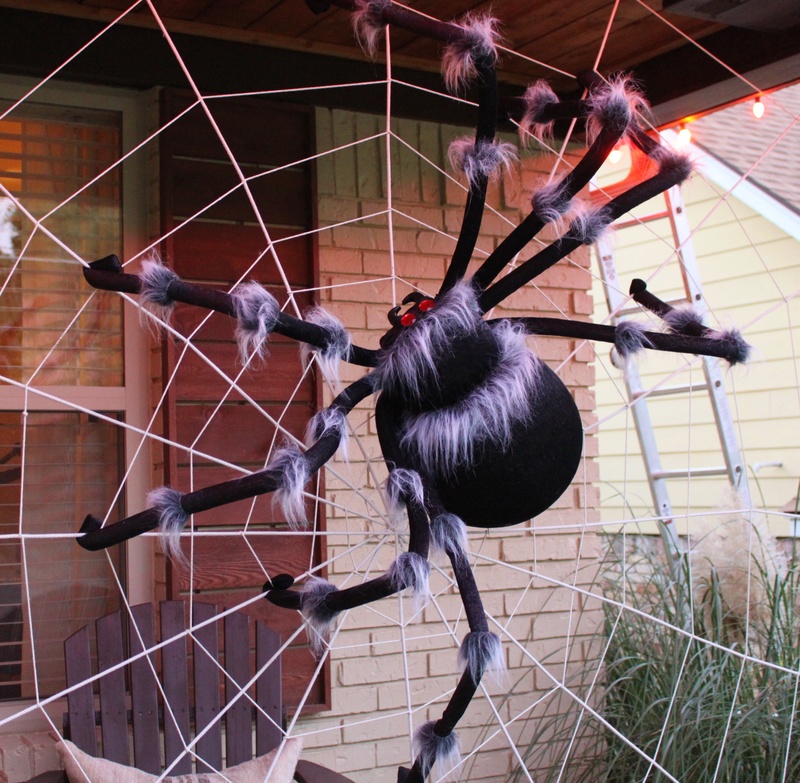 I know you could have made a spider in a New York minute to rival any spider living or faux, but you, clever man, saved your time and effort by going with a perfectly spooky ready made. Happy Halloween. As usual, you knocked it out of the ballpark!!! So do we/our neighbors, Nikki. Love the spider. 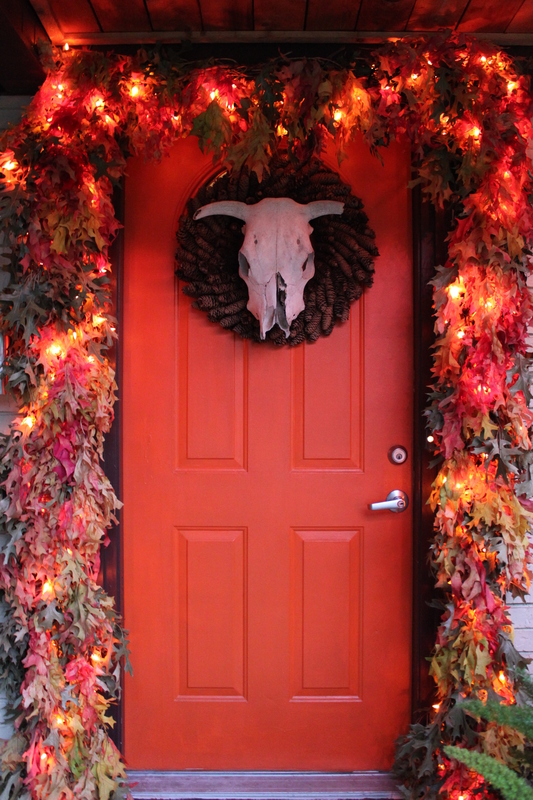 The orange door and garland and lights-looks so fallish and Hallowwenie! “Hallowwenie” is dead on. Thanks! Just so great! Always love what you guys do! And we love what you do too, Joyce! Your decorating is the best out there in internet land. It’s the right scale, non-cheap looking. Very, very good. Awwww shucks Pat, thank you. Your home looks amazing! The orange lights really are spectacular. Or should I say spooktacular? Love the spider!! Spookyacular, you should say Spooktacular……..